@xXequadoreXx, one for me, one for that little shît down the street. @Stacys daughter , edit: prior comment has been deleted. apparently asking about your username is inappropriate? @Cabbage Salesman, no it's not mean, she just dislikes it. It's not your fault you didn't know! @Cabbage Salesman, it’s all good and you didn’t have to change it. The reason I don’t like the reference anymore is because it got to the point where almost every comment or picture I post got overshadowed by comments like “your mom got it going on” or “how’s your grandma” and no one really acknowledging my comment or the picture. I don’t downvote it nor upvote it, I just don’t acknowledge it. 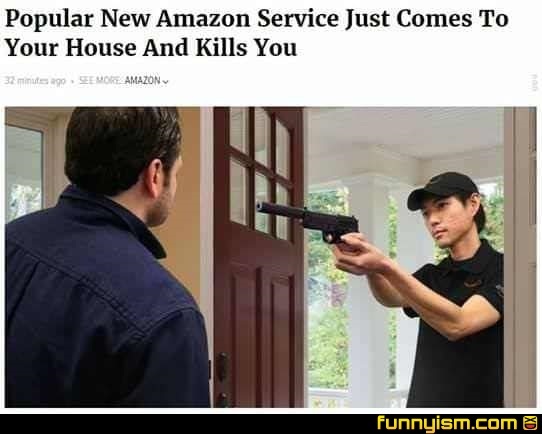 What about those with Amazon Prime? Just like that Cyanide and Happiness short. I’ll wait until it goes on sale. Shìt, where do I apply? Can you say dream job? ?